Home / Digital Camera Comparison / Compare Canon EOS 5D Mark III vs Nikon D810, Which one is worth buying? Nikon has released the D810 which will occupy for some time; the segment of second-master for Nikon. It will be the second full-frame enclosure after the flagship D4s. Everything is now clear. For this Nikon, if you want a professional full format slr camera, you will have the choice between the D4s and the D810. Contrarily, for Canon, it is the EOS 1DX or the EOS 5D Mark III. Therefore there is no ambiguity; the D810 and the 5D Mark III are indeed on the same segment. Moreover, if I were to make a list of the most commonly asked questions, the Canon versus Nikon rivalry would undeniably be at the top of the leaderboard. Between the two, the court may seem balanced, but probably not the reasoning behind the two. Then, what should you choose? 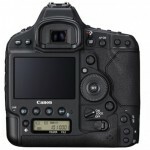 The EOS 5D Mark III? Or maybe the D810 would be better? There’s not an easy answer to this question, for one simple reason—whatever you choose will engage you in a sustainable manner, Canon or Nikon. You are going to buy a dslr—but, more importantly, you are embarking on an optical journey that over time will make you realize that your choice was the right choice, even if it seems at the time to the contrary. As long as you have this mindset, you will have made the right choice from the start. To help make this choice easier for you, I’ll discuss here the key components which must be taken into account in your choice, while also comparing the performances between Canon and Nikon. A good photo is a clear photo — I think it was Andy Warhol who said this. This has been problematic for the digital slr. Historically, the quality of the AF has always been the strong point for Nikon while for Canon it has been less than perfect. The D700 for example, with its 12 megapixel sensor, was known for quality development by line while at the same time the 5D Mark II had a tendency to stomp. Things have changed significantly. The Canon EOS 5D Mark III, with its 61 AF points and its 22mp sensor is very responsive, even if it tends to show a few signs of weakness in low light or if there is light behind your subject. D810 side, we do not change a winning team. We take the same product and it is optimized, again and again. The D810 is fitted with 51 AF points of legend and the Expeed 4 processor, the same as that fitted D4s. There must be at least a caliber like that for driving the 36mp sensor of the beast. Nikon also makes the choice to go with the low-pass filter and has completely rewritten his algorithms. We think that the sharpness is the strong point, and it’s not to say, especially as Nikon puts forward the new AF mode group, that from the D4s will allow a development and a monitoring of extreme precision. No doubt. In terms of autofocus is Nikon, and that’s all. The rise in ISO, it is like the speedometer on a car. It is not a question of whether or not to mount the counter, but rather how much you can drive it without breaking its neck. Honestly, the problem boils down to this. Can I push the scroll wheel while maintaining a perfect image? With the EOS 5D Mark III, you can generate an image at 6400 iso without too much trouble. You can climb up to 12800 and the image remains acceptable. The D810, it is a bit over with a clean image up to 12800 ISO. The bonus, with the new Nikon D810 dslr, is able to start to 64 ISO or even at 32 ISO in extended mode. Studio photographers who love the images glossy and finely detailed, like a food photo for example, are in for a treat. 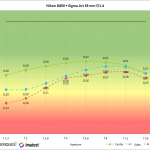 Overall, the two brands manage rather well with the difficulty of the raise in ISO, even if Nikon takes points and is ahead of its competitor. With that said, with the capacity to work cleanly to 6400 ISO, will cover 95% of your needs. The sub-definitions of the D810 was the subject that I was angry about (mild understatement). We should never focus on a point of detail, as it cannot be redone but … in short, the sub-definitions have the ability to adjust to the size of their RAW files according to its working environment, such as a RAW variable geometry. Canon has integrated this notion without trouble – why is it that Nikon been dragging its feet. The Result? The EOS 5D Mark III offers a choice between three types of RAW. A standard RAW format, which takes full advantage of the 22mp sensor, a medium RAW to 10mp, and a small RAW at 6mp. This is a radically interesting functionality. Nikon tried to do this on the D810 but missed the mark by only offering a RAW-S sensor shift. Let’s be honest, a half of a sensor on the EOS 5D Mark III (10mp) it is almost a quarter of sensor on the D810 (9mp). In addition it must be noted that the Nikon D810 offers the crop sensor (DX format)—we can interpret this feature as a sub-definition that does not speak its name. Canon advantage of little. The size of the sensor is at the source of a lot of problems and the choice made by Nikon is one of the parameters which had made me interested in the D800 in the first place. "Thirty-six megapixels? This is not a DSLR, it is a medium format!" Between you and me, I prefer to be on my own rather than with those of the guy who re-wrote the algorithm of the D810. Spitting images of such quality, refinement, wealth of details and sensor of this caliber, means it has real performance, a real tower of strength which the power of Expeed 4 is certainly not. Downside the size of (if I dare say) the RAW 14 bit file without compressing the 75Mb bit and there you go. Planning the storage capacity (memory cards and hard drives) and processing, is highly recommended. It should be noted however, the possibility to opt for a 12 bit file compressed without loss, equivalent to 95% of a 14 bit uncompressed file that allows you to divide the file size by two. An advantage of this type of definition is the possibility to crop at will while maintaining an image of remarkable size. To the contrary, the EOS 5D Mark III and its 22mp sensor seem significantly more bland, seen from above. In terms of video, the video on Canon is superior than Nikon and therefore has to catch up in order to stay even. Now, the Nikon D810 is equal with his rival on being able to produce the full HD at 60 fps. Nikon completes the package by incorporating features that speak to the videographers. This is the case of the power aperture, for example, a feature which allows motorized control of the diaphragm via the depth of field button and the function key. In clear, it allows the videographer to modulate continuously, gently and without jerks the aperture during recording. Note also the automatic adjustment of the exposure via the constant torque speed aperture, the adjustment of real time audio levels, the picture control, the zebra mode (display of overexposed areas), the stereo microphone, the reduction of noise, the cropping DX accessible in video mode in real time, the ability to record two live streams, the one-on card, and the other uncompressed on external recorder via the HDMI output. I was going to forget the two cherries on the cake. First: the possibility to use a pre-measured balance in live view (by pointing to the area which serves as a reference), then the Info button which allows access to the whole range of adjustments. As for the video mode for Canon, it beat out the competition for more than five years, but it was before. The EOS 5D Mark III allows for shooting in burst mode up to 6 fps and a silent mode which is actually silent. The D810 simply bursts to 5 fps which can be a little tight in certain situations which require more velocity, even if the rate rises to 7 fps in DX mode. On the other hand, Nikon went in the right direction with a significantly reduced noise level. Nikon also introduced two very interesting concepts. First, QC mode (Quiet continuous) which allows to shoot in silent burst. I look forward to test it at a jazz concert. Then, Nikon introduced the concept of the Electronic Front curtain shutter with a new mechanism mirror/shutter. This system allows you to reduce the vibration of the shooting, correcting the fault defect had been criticized for the D800. But it should also allow you to make crisp, clear shot at low speed. A sharp photo at 1/15s with the D810 and Nikkon 70-200mm f/2.8 VRII. The Nikon D810 introduced a new Highlight-weighted metering mode which will be adored by photographers who are in the middle of a show or concert. This is the kind of novelty that I had totally loved to hear from Nikon about the D810. This new mode of metering will change the game and could make the D810 the best camera in its category. This new mode is used to measure highlights. Nikon presents this type of metering, such as an automatic spot meter capable of detecting a set of stage lights, highlights and stalling the proper exposure according to this measure. Let us be clear. This kind of spec, combined with the AF mode group, could make the Nikon D810 the best reflex ever produced by the brand. 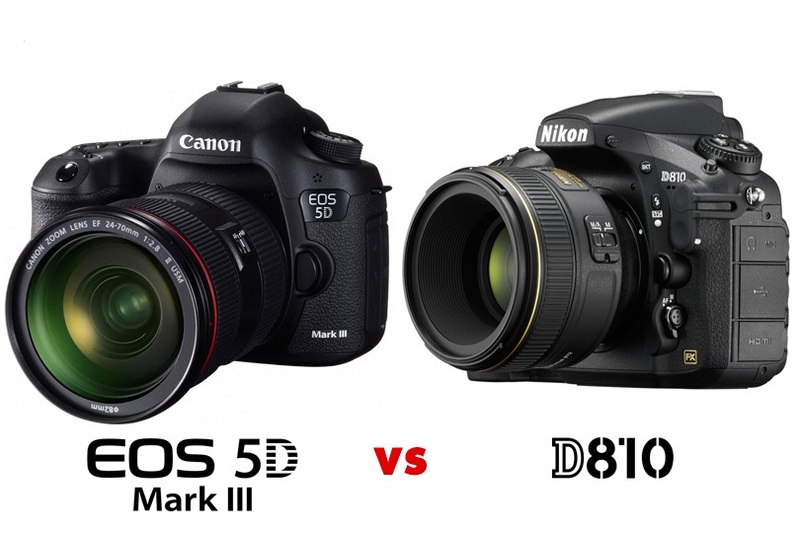 In conclusion: the Nikon D810 or the Canon 5D Mark III. If I am doing a quick calculation, with 25 points, the Nikon D810 is ahead of the Canon EOS 5D Mark III (22 points) on almost all fronts. It has an undeniably more efficient autofocus performance in all circumstances, even in low light conditions, better management of sensitivities, and better definition. As for the video, Nikon is now equal with Canon. But the most significant breakthrough lies, in my opinion, in two major new features introduced with the D810 which will dramatically change the game for many photographers. First the AF mode group, which inherited from the D4s. Then came the new Highlight-weighted metering mode. These two features will prove to be a significantly more efficient and I bet we will see many Nikon D810 SLR in the pits for concerts. However, it should be noted that the EOS 5D Mark III is a bit older (a little more than two years), and we can imagine that the canon will not sit idly by. As for me, my first doubts on this are clearly dimmed after reading carefully over the list of specifications. Nikon D810 could well be the enclosure that I would like to have for myself. Lightweight, versatile, high performance—in all circumstances it is the overall winner. One last point before you leave. Whatever your choice, these two excellent enclosures require the use of excellent optics. On the EOS 5D Mark III, I recommend to you the optic L series and for the Nikon D810, I recommend you the Nikkor optics and nothing else.